DAB (Digital) radios have become more accessible to UK households since their launch nearly 10 years ago and in contrast to FM radio, provide crystal clear reception when receiving a quality digital signal. An important point to note for DAB reception in Pembrokeshire (and many coastal areas or valleys) is that signal is fairly weak, meaning additional equipment is required in some areas to guarantee a decent broadcast. 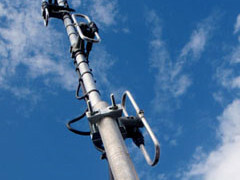 Good quality DAB or FM aerials can be installed independently or attached to your existing aerial mast. 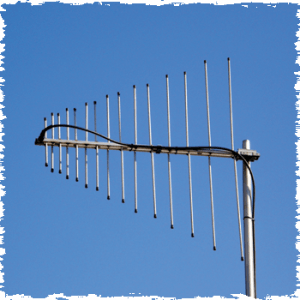 Directional (for use in weak signal areas) and Omni-Directional aerials are available. Although not ‘set in stone’ just yet, the government plans to end the FM broadcast by around 2015, meaning radio users will need to prepare for receiving digital signals, just as we did for the recent TV Digital Switchover. TIP: If you’re considering buying a DAB radio in the near future, it is advisable to look for one with a detachable antenna that would enable connection to an outdoor aerial if required. 1a Aerials provided us with an excellent service from start to finish. We were given a prompt appointment date and Dave was able to isolate the problem quickly. We are very pleased with the work carried out. Overall a fast, friendly, efficient and reliable service. We would highly recommend 1a Aerials. Thank you Dave.